First – please tweet and re-tweet this. It’s extremely important! As many of you know, my beloved New York City & the surrounding areas were recently hit very badly with Hurricane Sandy. Personally, we were without power, heat & cell towers for 5 days. Business came to a screeching halt and I’ve been trying to re-coup ever since. 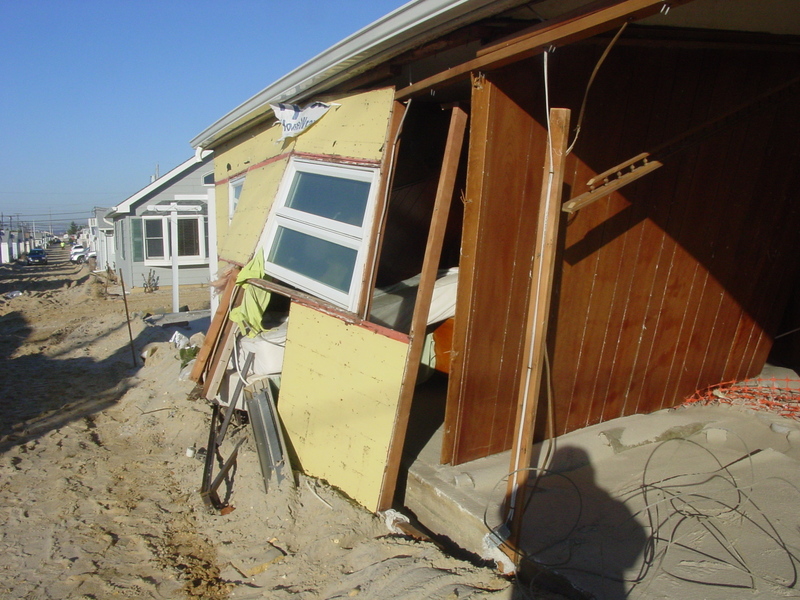 My 101yr old grandmother’s beach cottage on the NJ Shore was completely destroyed. What’s left of the roof is being held up almost entirely by one single 2×4. The bed pushed through the structure and is sitting partially on the street, the couch is in whatever is left in her tiny kitchen. 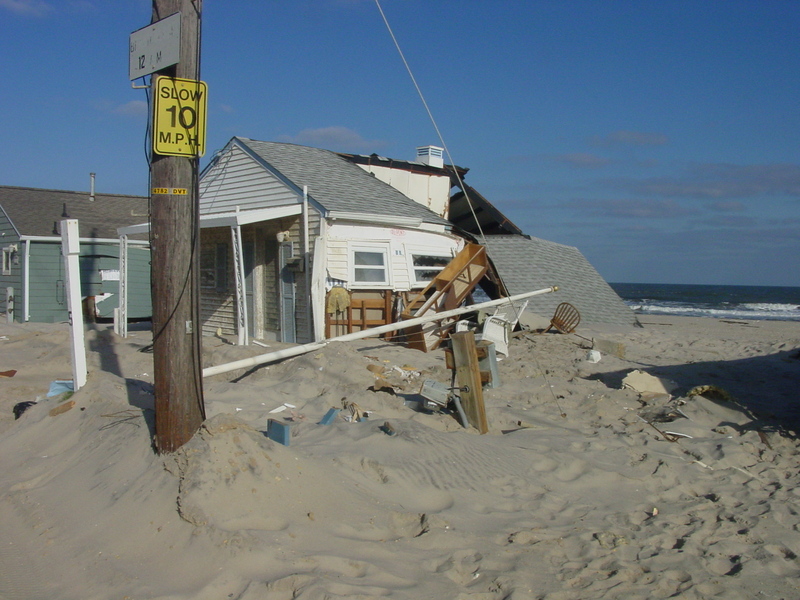 The home will have to be leveled and there were very few mementos that were salvageable. 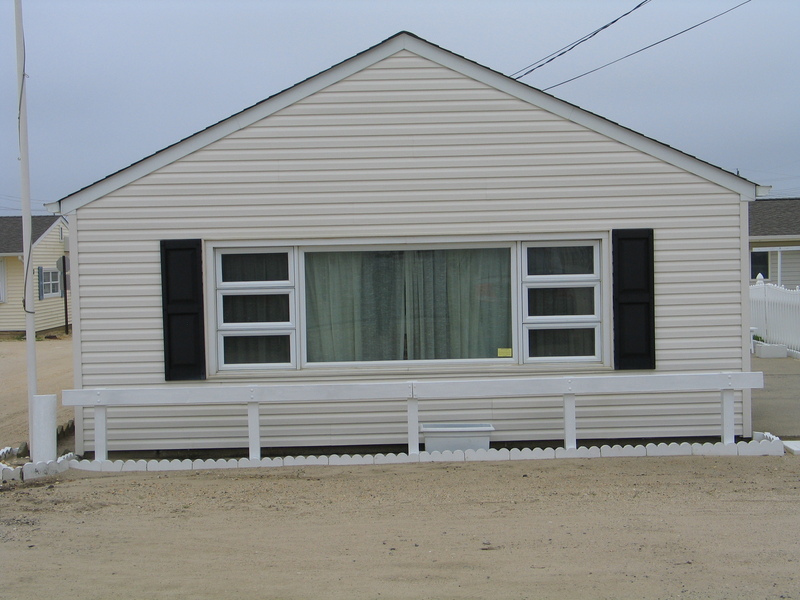 It may sound “fancy” to say that this was our family’s modest vacation home but anyone who owns property knows the kind of investment that is and the kind of sacrifices you do to make that happen. The little money my Grandparents saved during their years working as a school teacher (her) and an insurance sales man (him) they invested in this humble property with the intention of passing it down through the generations. Like my father, I spent my childhood summers there with my sisters and cousins and it’s a place our family retired to every chance we had. This is my family’s home. You can see the bed coming through the wall onto the street. 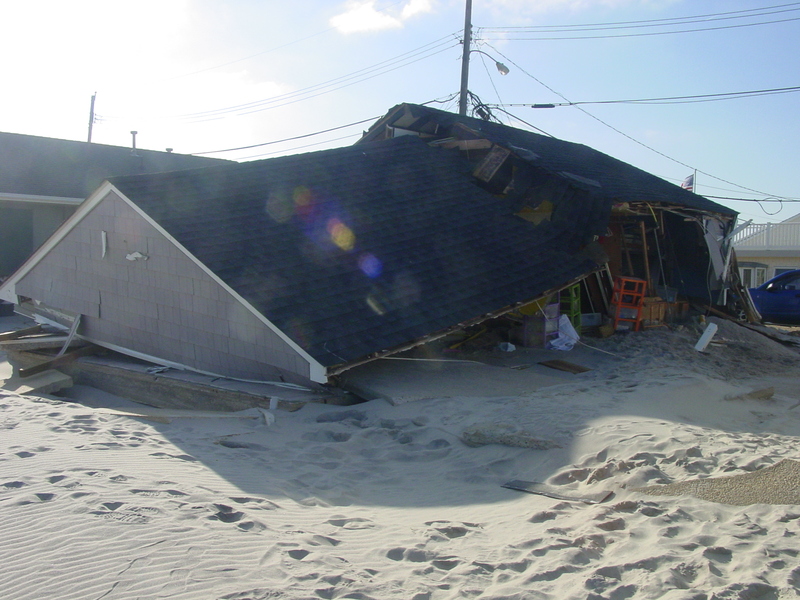 Our neighbor’s beach home. So very sad. But as sad and as hard as the recovery will be for my family – we didn’t even get hit with the worst of it. There are many people who lost their permanent homes or who couldn’t return to their homes for weeks due to flooding and unsafe conditions. These people were living in the shelters set up in the NYC public schools. The conditions were terrible – it was not like a ‘forced camping vacation’ by any stretch of the imagination. Many more people were stranded for weeks inside their apartments – especially the elderly and disabled – who couldn’t climb the 5, 12, 15 or more flights of stairs to get in or out of their apartments. They were stranded with no running water, no way to flush their toilets, no heat or food. There are many recovery efforts underway but you all know how this typically goes … it’s hard for the money to get to the people who really need it. Not this time! 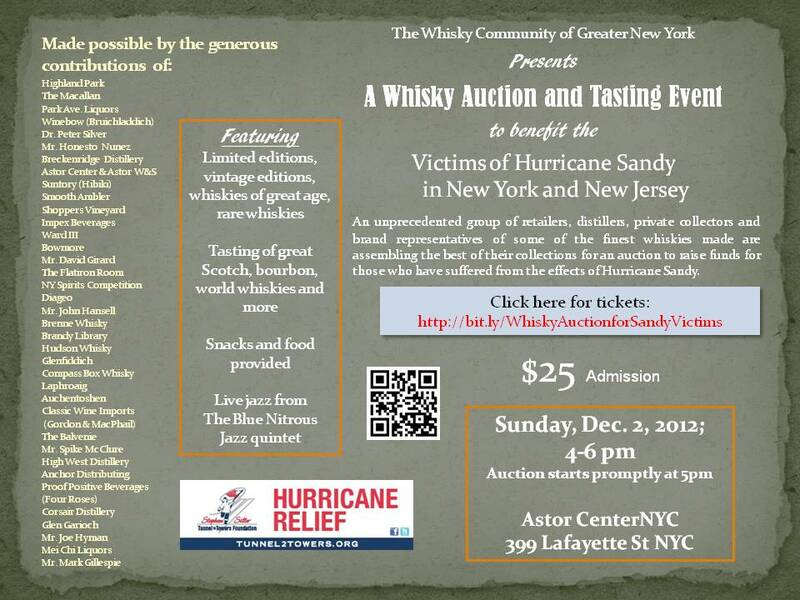 The whisky community of NYC has rallied together with the amazing leadership of Robin Robinson, the wonderful brand ambassador of Compass Box to unselfishly put together a benefit: a combination 2hr whisky tasting and auction to raise money for the incredible Tunnel2Towers organization. Just LOOK at that list!!!!! 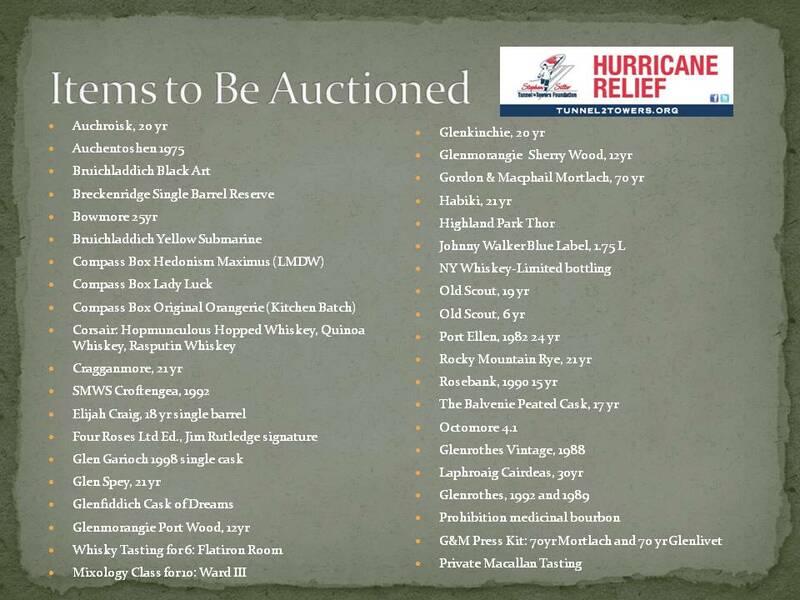 There are some bottles that will be available for auction that are rarely, if ever, available anywhere else in the world. People have dug down deep into their private collections to donate some truly remarkable whiskies. 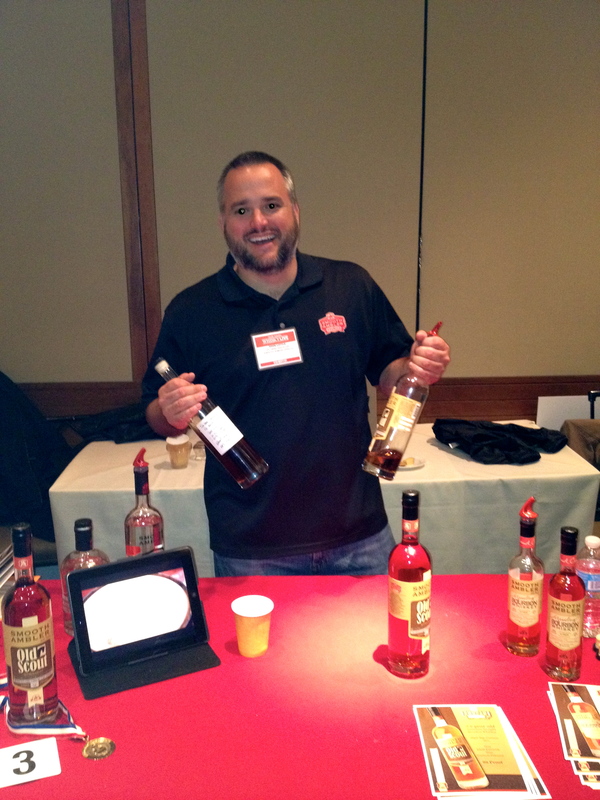 I’ll be there pouring Brenne! It’s only $25 to enter and enjoy what will be an incredible 2 hour tasting & auction event. Come one, come all! 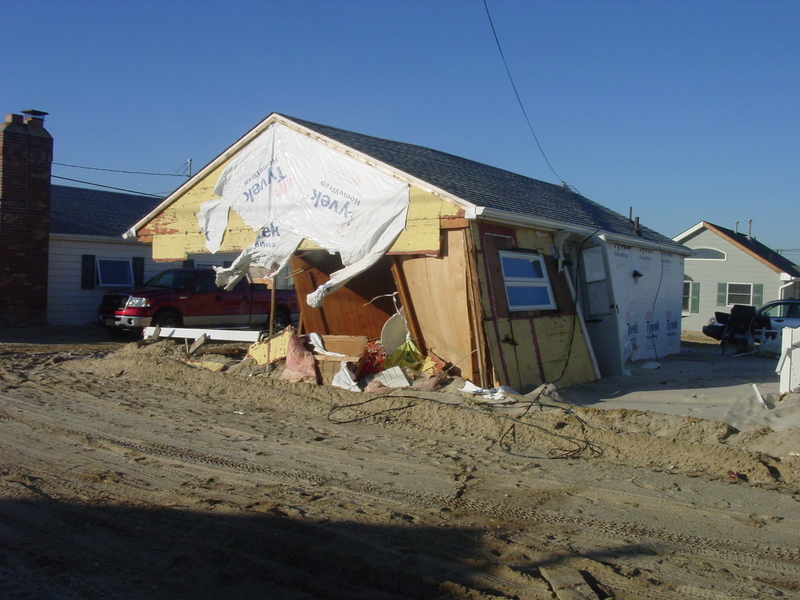 Support the rebuilding of the greater New York area! CLICK HERE FOR TICKETS!!! ONLY $25! 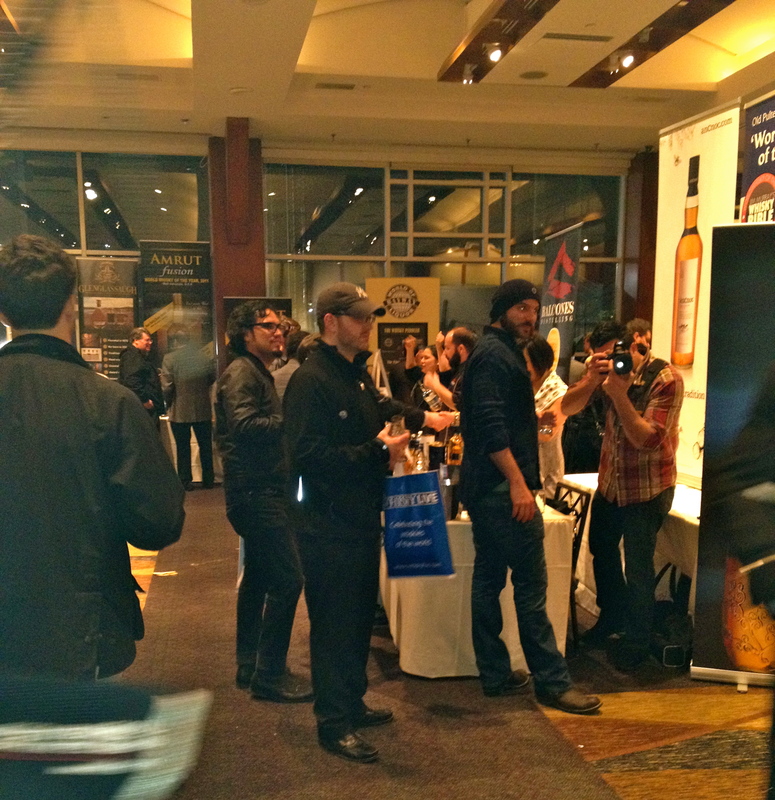 Anyone who knows me or who follows me on twitter probably knows that I attended the WhiskyLive NYC show this past Wednesday as I was practically jumping out of my skin with excitement! And this year surely did not disappoint. It’s one of my favorite nights of the year – a time to catch up with old friends, meet new ones and drink some seriously stand-out drams. And may I just give my sincerest apologies to everyone who I either didn’t mention here or didn’t have a chance to visit. I could have easily used another 4 hours! 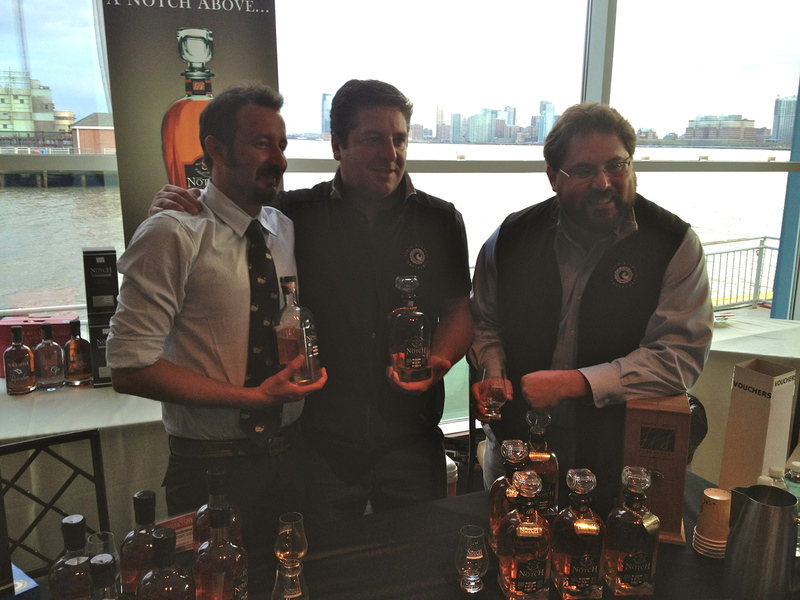 My first stop was quite intriguing … Notch Single Malt Whisky from Nantucket. Notch partners with Cisco Brewers who makes a special beer for them from Maris Otter malt (which has an interesting history for a grain & according to Wikipedia, is “acknowledged right across the brewing world as the finest-quality malt available”). This beer, or wort, is then moved to the Triple Eight Distillery to distill in a small copper pot still where just the heart cut of the distillate is used and aged for 8 years in ex-bourbon and finished in French oak Merlot wine casks from local Nantucket wineries. 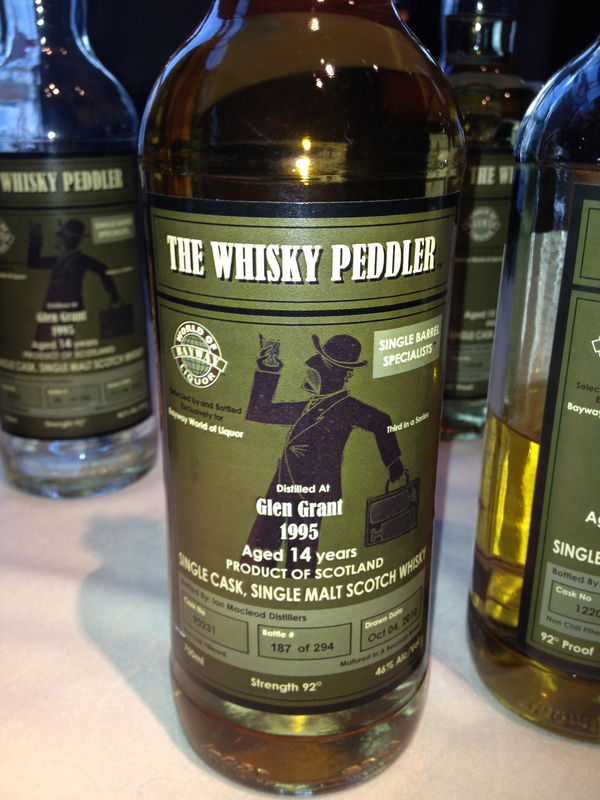 Now, this was a really enjoyable dram but what I can’t understand is the price. $888 for a 750ml bottle. I am sure they didn’t have the price match the name of the distillery to be cute … but I just can’t get my head around this! Remember, this was my first stop so I know my brain was still quite sharp – but I didn’t hear them mention the addition of 24k gold or a unicorn horn as a “gift with purchase” so not wanting to further interrupt the interview they were doing with Gregg from DistilleryAge.com, I snapped the above photo promised them I would be following up … and you bet I will be! Asap. 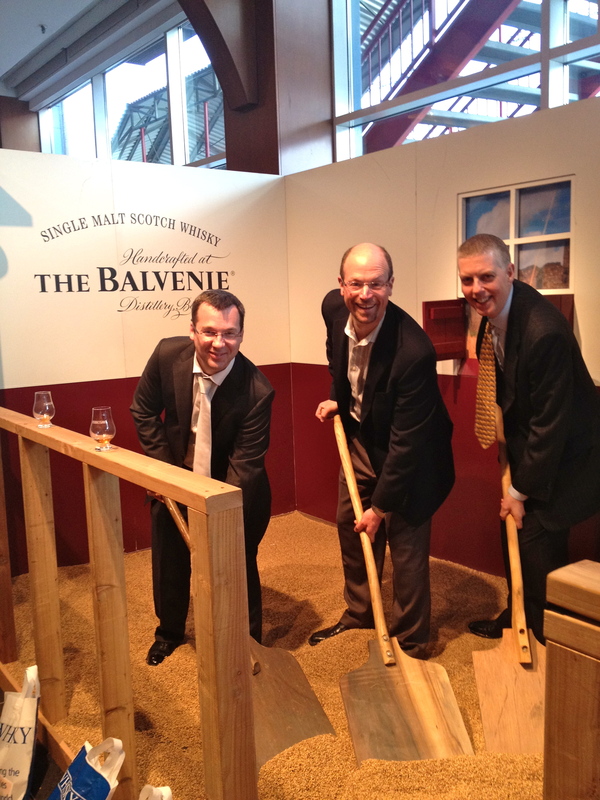 I always enjoy my time with the happy and wonderfully talented Balvenie crew. David and I caught up over a beautiful glass of their 14yr Caribbean Cask Single Malt which was divine. They actually bring rum over from the Caribbean in tanks – not in casks – and fill their casks with the rum for 6 months. Once they have their barrels perfectly seasoned with the rum, they remove it and replace the rum with their 14yr single malt to finish for 6 months prior to bottling. Pretty cool, huh? Hey – are we taking each others photo!? Silly social media whisky geeks (myself included)! Smile! 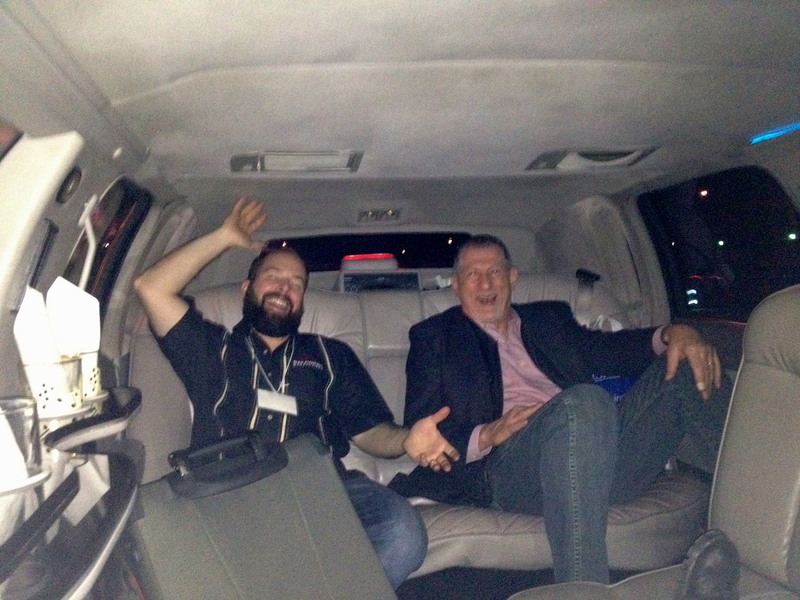 Off to the Cocktail’s Live area! … can we say mid-show pick me up? Whisky & chocolate – a great pairing. 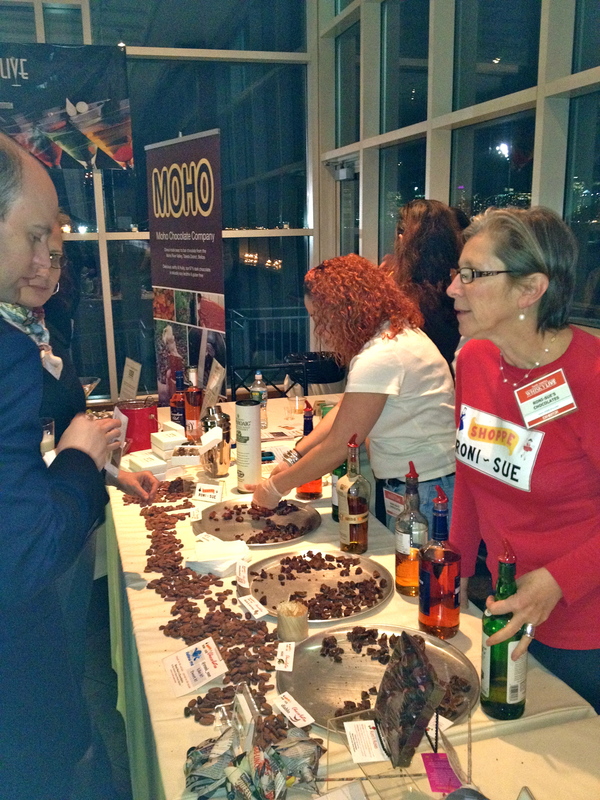 Lucky for us, the hyper-talented chocolatier, Roni-Sue, was there serving up her unique bonbons and pairing them with such lovelies as Laphroaig and Basil Hayden! I loved their Dark & Stormy truffle: dark chocolate ganache that features Goslings dark rum, fresh ginger and lime zest – all I tasted was pure deliciousness. Glen Garioch paired up with Murray’s Cheese, an excellent cheese shop in NYC (and luckily right down the street from me!) to create a cheddar that pairs specifically with the Glen Garioch whiskies. HOW COOL IS THAT!? I’ll be there tomorrow picking up a good wedge for this weekend! 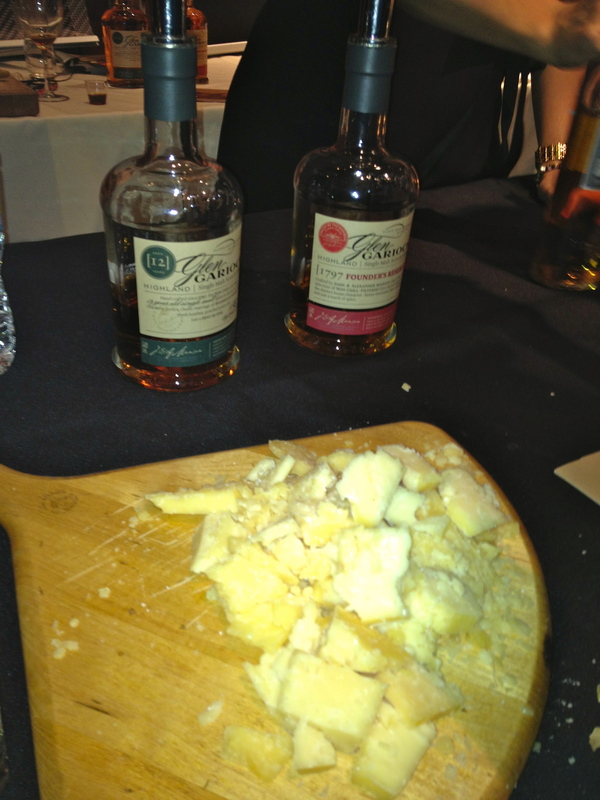 The whiskies are great – balanced, smooth and perfectly complimented by the tangy-creaminess of the cheese. At this point, though, it was too crowded and my glass was too coated with other whiskies to get accurate tasting notes but I’ll definitely be picking up a bottle on my next Scotch-run. Finish off with hug, dram and special (secret) Bourbon-Ball (a dark chocolate & Smooth Ambler bourbon bon-bon) from John Little, head-distiller at Smooth Ambler, and it was time for the after party! 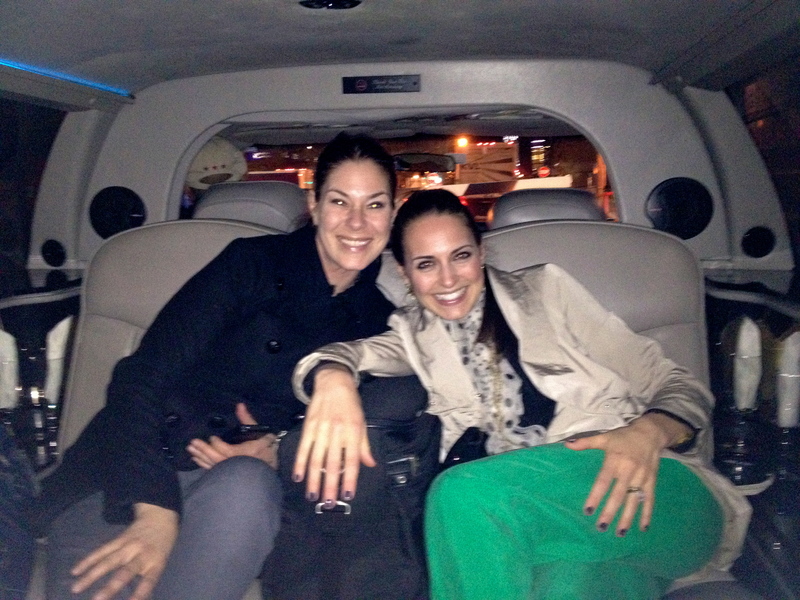 Off to Ward III we went! It was another amazing night! 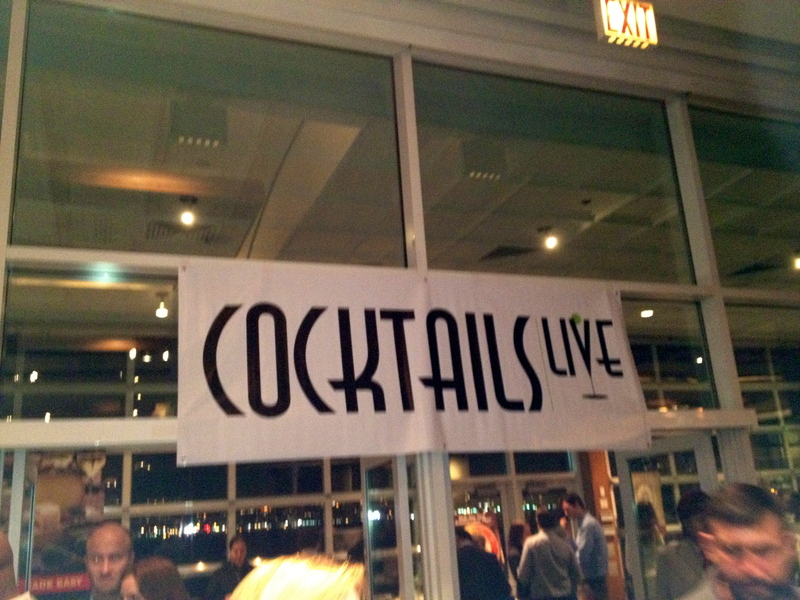 Congrats Dave Sweet for organizing yet another stellar event! Slainte! 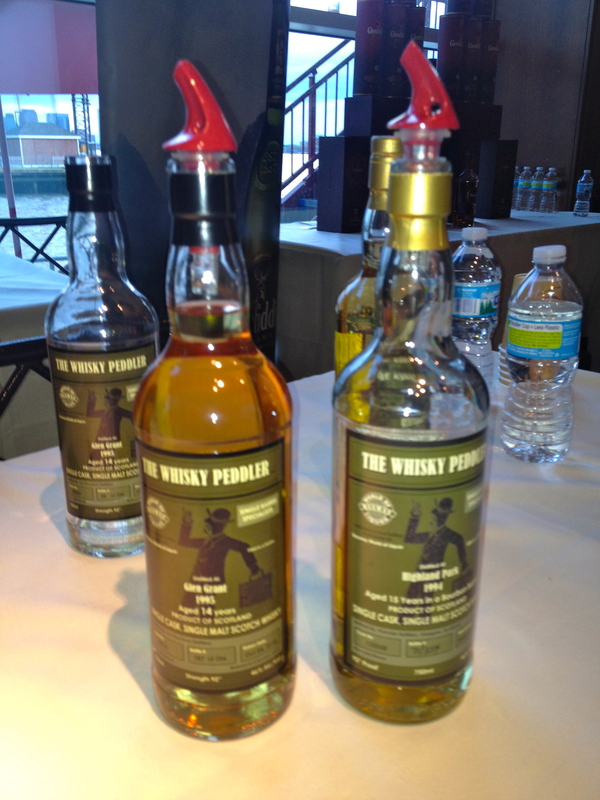 I just spent a full week checking out the whisky scene in the sunny city of Los Angeles, California. 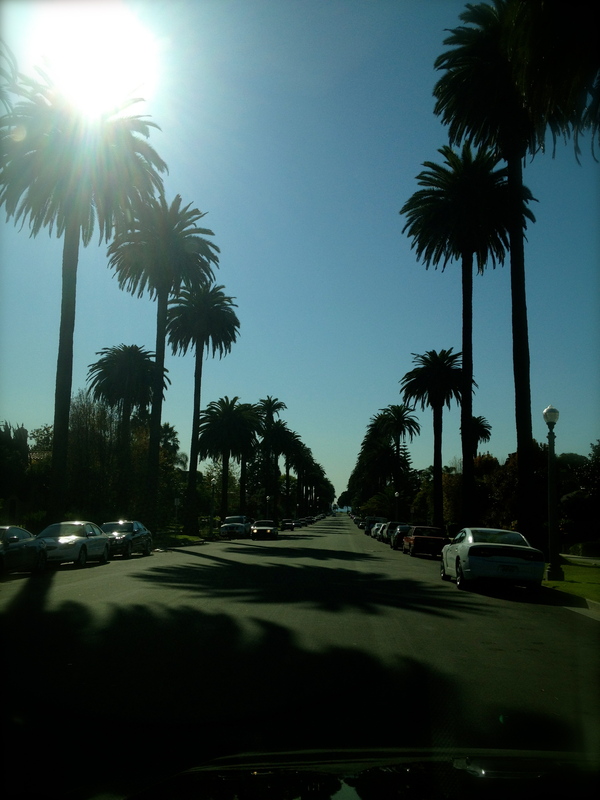 On my last day, I was driving around like a crazy person (as you do in LA) trying to squeeze in a few last store visits. Up until then, I had really only be focusing on specialty shops (K&L for example) and authentic whisky bars (hello, Seven Grand) but I found myself sitting in a parking lot in Beverly Hills staring at a somewhat dingy looking store that, for whatever reason, I felt I was being gravitationally pulled to enter. Sigh. Ok! I hop out of the car and go into what I would describe at first look as being a pretty standard American liquor store. Neon signs, branded posters, old linoleum floors complete with a faint smell of cat (or is the cat smell only in my memory?). A quick overview of the room tells me the liquid gold that I’m looking for is in the center of the store (interesting … whiskies are usually along the sides or back walls). Hmmm. I keep walking. 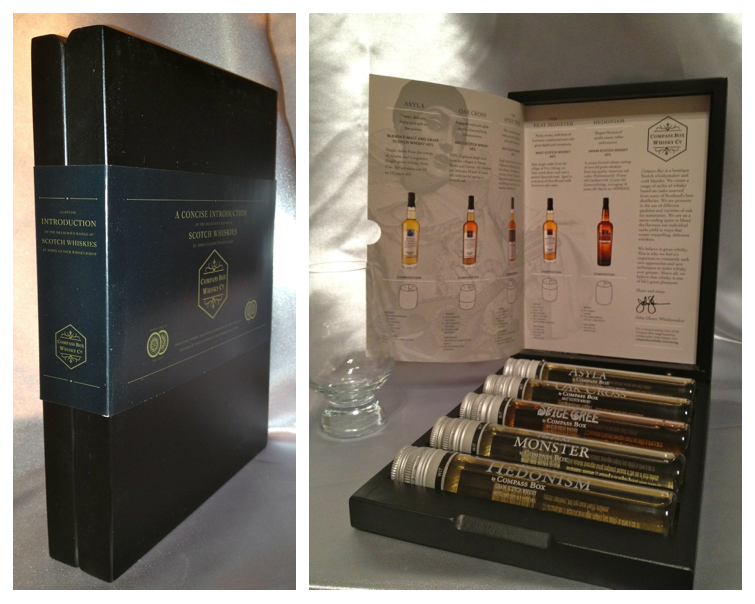 1 box (on the bottom shelf, tucked off to the side) of a Compass Box 50ml Sample Gift Set. Gasp. WHAT!?! I have never seen this kind of set in the States before… ever. SOLD! This is the perfect way to familiarize oneself with a brand, style, region, etc. 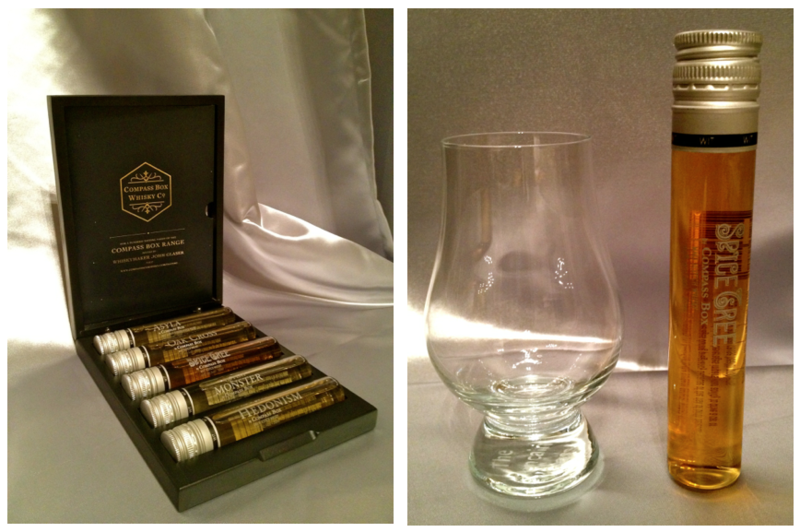 I picked up a few sets like this from La Maison du Whisky in Paris back in July (see earlier post HERE, reviews of the sets I bought to be posted in 2012). I also really appreciate the pull out information card that is secured on the underside of the box lid. This is beautifully done, clean, well organized and a perfect gift … for oneself or someone special! Sadly, a quick google search produced only one place online with stock and that is a single sellers on eBay (click HERE) but I’m not even sure that’s legal and that guy is selling his box for $89.99 (compared to the $49 I paid at full retail). IF you can find one – I encourage you to buy it. It’s a great set. I’ll definitely be asking my local store later today to see about getting a few in stock! Hopefully they can ship to you! WITH SHIPPING TO THE USA (FROM THE UK) YOU CAN GET IT HOME FOR AROUND $64 USD. You are currently browsing entries tagged with Compass Box at The Whisky Woman.